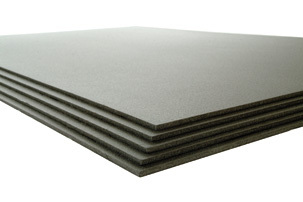 A lightweight insulation board developed specifically for underfloor heating applications. It is constructed from extruded polystyrene and designed for easy installation. This product provides excellent levels of thermal insulation & is a complimentary addition to any underfloor heating system. The high thermal resistance of the product prevents heat losses to the sub-floor. It is availble in 2 ranges. The ideal product to prevent downward heat loss under wood & laminate floors. Produced from a closed cell construction foamed polystyrene it has excellent thermal insulation properties. It should be used below ALL EcofilmSet heating systems. Effectively levels small imperfections in the subfloor in preporation for laying EcofilmSet. Excellent sound insulation qualities when used with laminate by reducing the "booming" effect caused by walking on floating laminate floors. Lightweight & easy to work with and lay. Excellent moisture resistance, does not age or rot.